Are you looking for a custody attorney in Northern NJ? 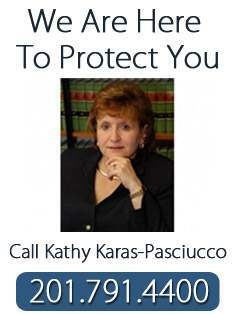 Kathy Karas-Pasciucco of Feitlin, Youngman, Karas & Gerson has been a custody attorney in Northern NJ for many years. After many failed attempts to save your marriage – it is finally over. There are so many questions running through your head that you can hardly think straight. You are having trouble sleeping. You have lost ten pounds in the past month. Your boss has called you in because you are making too many mistakes at work. You are scared out of your mind because your spouse has threatened to take custody of the children and you know that it would be in the children’s best interest if you were to have custody. As you sit alone, after the children are fast asleep, you wonder if you even know what the different types of custody mean. You hear so many words associated with custody. Your neighbor said you must have sole custody because your spouse has a tendency to drink to excess on the weekends. Your brother said to go for joint custody because it is best for the kids. Your friend from college said she has a shared custody arrangement and it is working just fine for her three children. The lady at the supermarket said you should try for physical custody. Your spouse threatened that he will not stop until he has residential custody. What does it all mean? These different custody options can be confusing which is why it is important to understand the differences so you can evaluate what would be best for your family. It is important to remember also that although you are divorcing your spouse, your children will do best if they have the benefit of the family and can maintain a healthy relationship with both parents. Under the right circumstances, even after your divorce becomes final, you and your spouse will still work together and co-parent for the best interests of your children. Means that only one parent will have access to all information concerning your children such as medical, dental, psychological and school records. It also means that only one parent will make all decisions concerning the children. Sole custody is generally not given unless there are severe circumstances such as clear evidence of a parent's unfitness. Sole custody is not to be confused with a sole parenting worksheet that is used to calculate child support when children spend less than 104 overnights with a parent. Means that you and your spouse will both have access to all information concerning your children such as medical, dental, psychological and school records. It also means that you and your spouse will have a say when making all major decisions concerning the children. 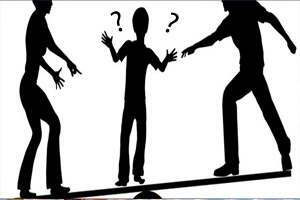 In my experience, most divorced parents have a joint custody arrangement. Is a form of joint custody where the parents share custody so that neither parent may necessarily be designated as the parent of primary residence. This term is generally associated with a shared parenting agreement where each parent has the children 50% of the time. This type of custody arrangement generally requires the parents to make a commitment to live close to one another so they can work together and co-parent their children. This is not to be confused with a shared parenting worksheet that is used to calculate child support when children spend 104 or more overnights with a parent. This refers to where the children reside for purposes of school registration.